Deshaun Watson arrived to Thursday night’s game with a tuxedo on, looking ready to save the world from danger. They say if you look good, you feel good … and Deshaun Watson certainly looked the part heading into the locker room Thursday night. 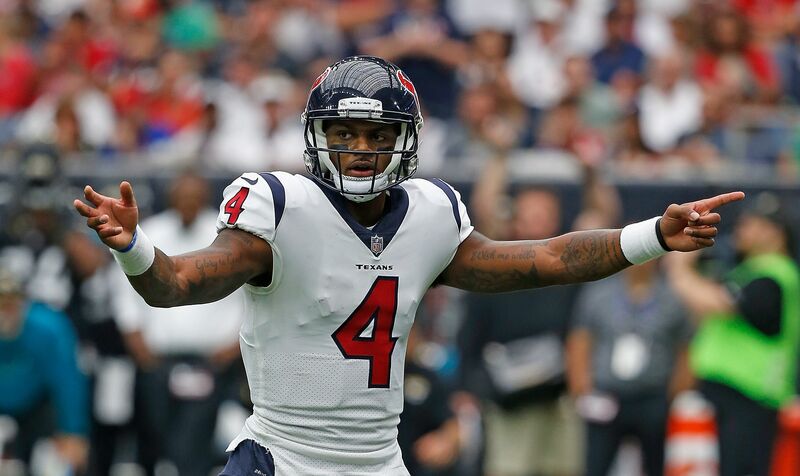 Watson and the Houston Texans are set to take on the Cincinnati Bengals, and the rookie was certainly dressed to impress on the eve of his 22nd birthday. He arrived wearing a full-out tuxedo, looking laser focused on the matchup ahead. Houston selected Watson with the 12th overall pick in this last draft, in the hopes of him becoming their franchise quarterback that they have lacked for a while now. The Texans still went with Tom Savage as their starter for week 1, but Watson promptly replaced him after the latter struggled. The rookie got off to a good start, leading his team to score a touchdown, but then became stagnant as the game went on. Houston’s head coach Bill O’Brien held off on naming a starter for Week 2 initially, but the word eventually came out that he had decided on Watson leading his team out there for tonight. Watson completed 12 of 23 passing attempts for 102 yards, one touchdown pass, and one interception in the blowout loss to the Jacksonville Jaguars. Watson will be looking to improve upon his initial stats, as he has had a bit more time now to get acclimated with the first-team offense. The Texans have been battling a slew of injuries to begin the season, including concussions to three of their tight ends. Houston will presumably look a bit better with Watson under center than Savage, because of his ability to keep defenses honest with his running ability. With that said though, he is still a rookie and has a ways to go to be great, but has showed some flashes to begin his career.